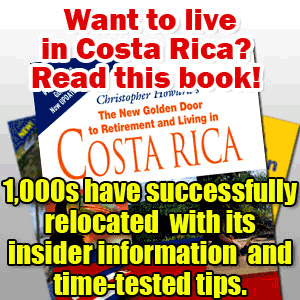 You are looking to move to Costa Rica but you don’t have a clue where to. Now, that depends on many things, like weather, temperatures and more importantly, the amenities you will need. Those amenities, amongst others, could be churches, hospital, and schools for the children, golf courses, restaurants, specialty stores, movie theaters and theater groups. To give you a hand with the availability of these amenities, we send out a monthly newsletter, where we write about the available amenities in each area. Feel free to register here to receive our newsletter. This is why you should connect with the GoDutch Realty area specialists or the American European Real Estate Group’s affiliates, as they live in the area they work and can help you get going much easier. All our real estate agents are well trained and will give you the necessary post-sale follow up read our testimonials elsewhere on this website. 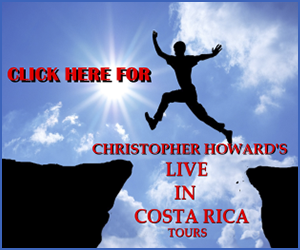 Since each area of Costa Rica offers its own micro climate, it is necessary, before you move to Costa Rica to know what each area is about, what the climate is, what shopping is available etc. A lot depends upon where you are from; when you come from a cold climate, you like warm weather and when you come from the hot, you like the cool weather. Below, I will describe a little of each area. I’m sure you will do your due diligence on the Internet before you will even come down and visit us. 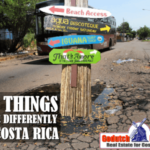 But there is nothing better to sit down with one of our real estate agents and find out as much as you can about the different areas with their micro climate before you move to Costa Rica and end up in the wrong place. Our real estate agents are all area specialists and live in the area they work. 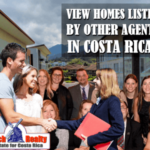 Therefore, they have up to date information, not only about the properties for sale in that area, but also all the necessary information you need to have before you move to Costa Rica and all the information you will appreciate after you have bought your property through us. San Jose is the capital city of Costa Rica and is located in more or less the middle of the Central Valley, it doesn’t offer much besides some good museums, the Teatro Nacional, the Teatro Mélico Salazar and some good private theaters. The city has no space, the streets are full of traffic and this is really not what you are looking for if you move to Costa Rica. Many cities in other countries offer a great downtown area with artist’s hangouts and other interesting areas, but San Jose has nothing like that. The mayor of San Jose has worked hard to try to turn San José into a nice city again but land prices and the cost of renovating old buildings is simply too high. The city of San Jose has built pedestrian boulevards which has brought life back into the city a bit, but the middle and upper classes prefer to stay in the suburbs and surrounding cities where they have all shopping and services available. If you are looking for nightlife, you might find most of it in surrounding areas like Rohrmoser and Escazu. Some of the outer edges of San José are starting to recover now. 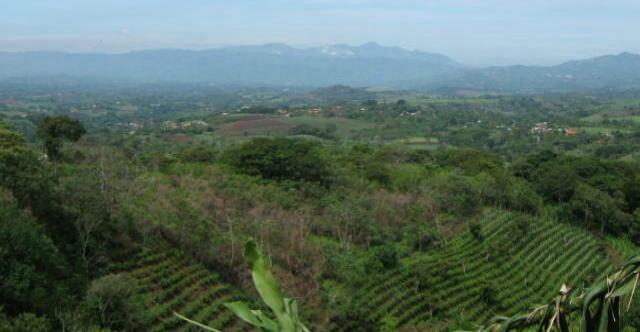 The west side of San José, Sabana and Rohrmoser all have more or less the same micro climate. 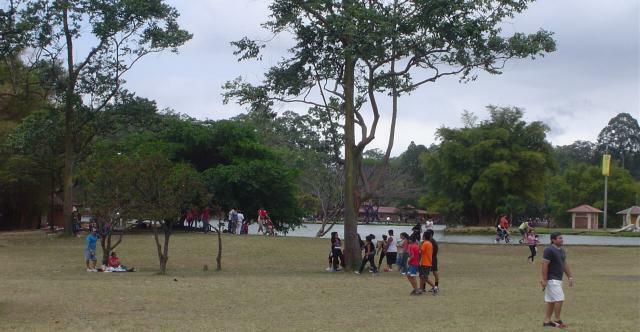 The re-populatation of the city of San Jose has started and since Sabana Park is a good area to start with, several developers are trying to take advantage of the views of Sabana Park. That is the reason that Sabana and the surrounding areas offer several high rise buildings of up to 12 stories, starting at $100K all the way up to $1,500,000 and soon a 27 story building will go up. Locations like Sabana Norte and Sabana Oeste are up and coming again. Property in Sabana is a bit older and most homes are turned into offices. There are quite a few new apartment buildings in the Sabana area though, so if you are looking for Property in Sabana, you have a good choice of condos and apartments.&nbsp; Prices of Property in Sabana starts at more or less $350,000 and goes up to the $1,200,000 range. The west side of San José is where most ex-pats look for since it is the most well known area although more and more retirees are looking for towns and cities a bit further out since the new highway San José – Caldera gives a better access.&nbsp; That’s mainly because the climate is somewhat warmer on the west side than on the north side. The ex-pat community on the west side is so large, there are more available services than in many other areas and therefore English is a more acceptable, which makes it easier on many. The climate between all these places differs just a little between one and another. The further west you go, the warmer and drier it becomes. Also Rohrmoser belongs to San Jose and is like the suburbs in any city. You’ll find nice tree lined streets with sidewalks lots of parks and actually Rohrmoser is one of the few areas of Costa Rica that has a city sewer system. Rohrmoser offers plenty of shopping like Plaza Mayor and Plaza Rohrmoser. Most homes are built in the 70’s and 80’s and are either remodeled on in need of, so make sure you explain your real estate agent what your needs are exactly. Very few homes in Rohrmoser have large gardens. The climate in Rohrmoser and surrounding areas averages 80ºF throughout the year. Property in Rohrmoser is a bit older than in areas like Escazu, so you might have to re-model an older property. If you are looking for Property in Rohrmoser, you have a good choice of single family homes and luxury homes, villas and mansions. Prices of Property in Rohrmoser starts at more or less $200,000 and goes up to the $600,000. Ask your GoDutch real estate agent Shell Johanson for any property for sale in Sabana Park or Rohrmoser or for any questions you might have about these areas,&nbsp; their amenities and attractions. Escazú was in the beginning of the 80’s just a small town with horses and cows in the streets. Thirty years later, Escazu is the more urban town in Costa Rica and shopping malls, banks and anything you need is available. Historically this has been where most ex-pats have lived because the climate is mild. Therefore also the shopping and wining and dining is best there. Escazú has its own micro climate en it even depends a bit if you’re up in San Antonio or down in San Rafael is generally in the mid 80’s and has less rainfall than many other areas in the Central Valley. 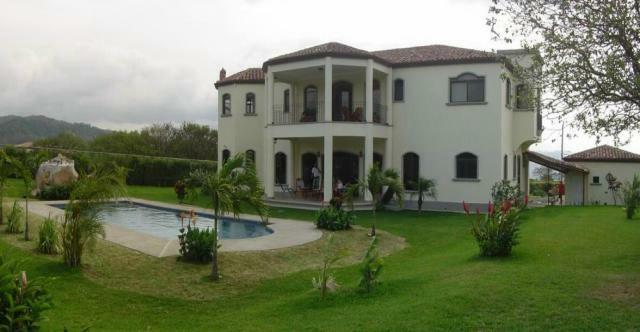 Property in Escazu is a bit more expensive than most areas. If you are looking for Property in Escazu, you have a good choice of condominiums, apartments, luxury homes, villas and mansions. Prices of Property in Escazu starts at more or less $200,000 and goes all the way up to the several million dollars. The disadvantage of Escazu is that traffic is getting more urban too, even though it is always moving. You’ll also find more gated communities and high rises in Escazu than anywhere else in the country. Find out more about Escazu and what the town has to offer. 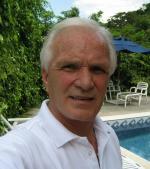 Ask your GoDutch real estate agent Ivo Henfling for any property for sale in Escazu or for any questions you might have about this area,&nbsp; its amenities and attractions. Santa Ana is growing fast, but the zoning will never allow Santa Ana to grow like Escazú did, therefore it is more rural. Downtown Santa Ana is still very small town like and picturesque. Just outside the older town area is a brand new area called Lindora where there are lots of new strip malls built since 2007. They are very much like Florida strip malls and they offer a wide variety of restaurants, stores and banks and also the well known office centers Forum I and Forum II. Santa Ana has its own micro climate and is a couple of degrees warmer than Escazú with an average of 85 – 90ºF and therefore you will find more swimming pools in Santa Ana than in Escazu. Click here, Santa Ana, to find out more. 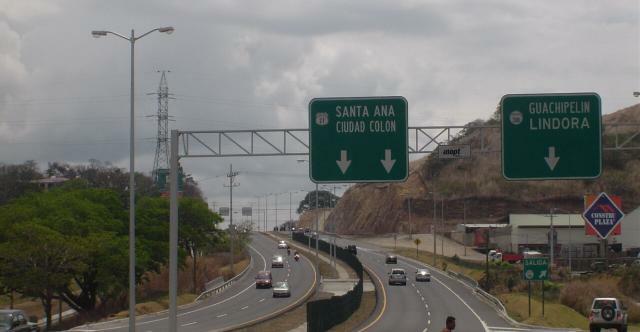 Property in Santa Ana is more or less in the same price range as Escazu is even though land is a bit cheaper here. If you are looking for Property in Santa Ana, you have a good choice of condominiums, apartments, luxury homes, villas and mansions. Prices of Property in Santa Ana starts at more or less $175,000 and goes all the way up to the several million dollars. 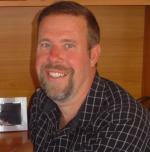 Ask your GoDutch real estate agent Mike Newhouse for any property for sale in Santa Ana or for any questions you might have about this area,&nbsp; it’s amenities and attractions. Find out more about Santa Ana and living in Santa Ana. Ciudad Colon is even more rural, but the new highway to Caldera will eventually change that in the years to come even though Ciudad Colon and Brasil de Mora have the same low density as Santa Ana has. It’s only 15 minutes away from shopping and the climate is just a little warmer than Escazú and very similar to Santa Ana with an average temperature of 85 – 90ºF. Property in Ciudad Colon is more or less in the same price range as Escazu is even though land is a bit cheaper here. If you are looking for Property in Ciudad Colon, you have a good choice of condominiums, apartments, luxury homes, villas and mansions. 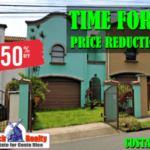 Prices of Property in Ciudad Colon starts at more or less $175,000 and goes all the way up to the several million dollars. 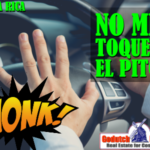 Ask your GoDutch real estate agent Mike Newhouse for any property for sale in Ciudad Colon or for any questions you might have about this area, its amenities and attractions. The Cariari and Los Arcos area, a golfer’s paradise, is located between the airport and San Jose, they are very urban and offer beautifully tree lined streets and sidewalks where you can jog or walk your dogs. Both the Cariari and Los Arcos areas have 24-hour guards and function like a gated community. Most homes are high end and the area offers the large Cariari hotel and country club with golf course and a large shopping mall across the freeway. The Cariari micro climate offers average temperatures of 85 – 90ºF. Property in Cariari is more or less in the same price range as Escazu. If you are looking for Property in Cariari, you have a good choice of condominiums, homes and luxury homes. Prices of Property in Cariari and Los Arcos start at more or less $225,000 and goes all the way up to $1M dollars. Find out what living in Cariari is all about. Shell Johanson is our real estate agent for this area and as a long time resident of Cariari and golf member of the Cariari country club can introduce you easily to the Cariari life style and residents. Send Shell an email to if you have any questions about this area. Ask your GoDutch real estate agent Shell Johanson for any property for sale in Cariari and surrounding areas or for any questions you might have about these areas,&nbsp; their amenities and attractions. San Antonio de Belen is located between the airport, Santa Ana and Cariari and the weather is very much like Ciudad Colon, Santa Ana and Cariari and the micro climate here offers an average temperature of 85 – 90ºF. San Antonio de Belen It offers its own shopping in a quiet, picturesque town center but doesn’t have very many gated communities. Property in Belen is more or less in the same price range as Cariari. If you are looking for Property in Belen, you have a good choice of condominiums, homes and luxury homes. Prices of Property in Belen start at more or less $225,000 and goes to $850,000. The Los Santos Valley is an almost undiscovered area by foreigners and is mainly a huge forest reserve and partially a coffee producing area but you’ll also find lost of fruits and vegetables as the black soil of Los Santos (which means The Saints) is an incredibly fertile area of Costa Rica. 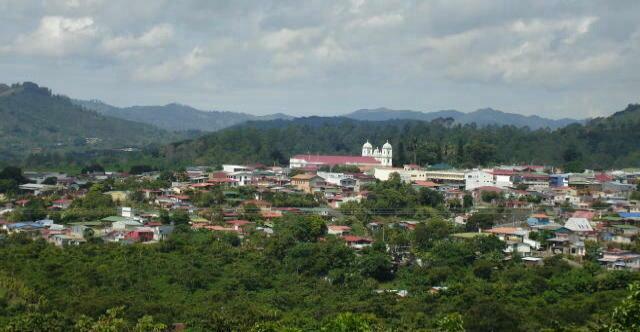 The Los Santos area offers towns like Santa Maria de Dota, San Gerardo de Dota, Copey or San Pablo de Leon Cortes. These towns offer enough for your day to day shopping but for some things you might have to go to San Jose or Cartago. 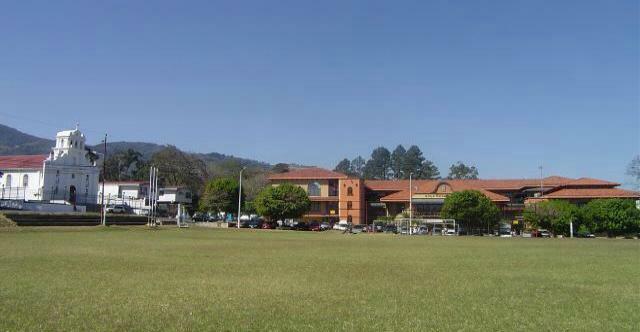 The Los Santos Valley is located between Cartago and San Isidro del General, just below the Chirripó mountain range. Within Los Santos, you will find the Cerro Las Vueltas Biological Reserve and the Paramo Wildlife Refuge. The famous Quetzal is found here and the locals a well known for their trout ponds and apple orchards that are visited by the local tourists on Sundays. The micro climate in Los Santos depends so much on the altitude you are going to buy your property, I’ll leave it to your visit with Tony to find the right climate. Property in Los Santos is more or less in the same price range as Grecia and Naranjo. If you are looking for Property in Los Santos, you have a good choice of homes and small farms. Prices of Property in Los Santos start at more or less $125,000 and goes to $600,000. For those who are looking for properties in the middle of nature because they just love bird life, hiking or just simply help protect the forest, youneed to talk to our real estate agent Tony Warren who lives in the area and speaks Spanish like a local. Los Santos is a beautiful place to live, check it out! Ask your GoDutch real estate agent Tony Warren for any property for sale in Los Santos and surrounding areas or for any questions you might have about these areas,&nbsp; their amenities and attractions. Alajuela is a quieter area of the Central Valley. Alajuela is also warmer than anywhere else in the Central Valley and the best climate in the world NASA says, with an average temperature of around 90ºF. Great areas to live are La Garita, Turrucares and Atenas. Shopping is still not as handy as most other areas but Alajuela itself offers all you need and the new highway San Jose – Caldera makes those areas more accessible now. 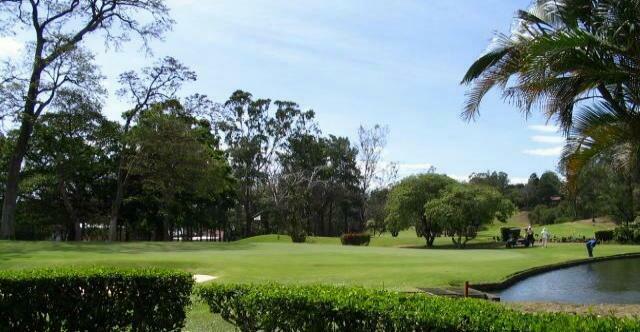 See our Alajuela properties for sale now. Also up and coming areas, because real estate pricing is much more accessible now, are Grecia, Sarchi and Naranjo. This is becoming one of the most attractive areas for those who are looking for a laid back life style. The GoDutch Realty office in Atenas, managed by our top producer Isabelle Jones and her husband Howard, is the leading real estate office in and around Atenas. They are simply the best real estate agents of the area and have an in depth knowledge of the market in Atenas as they live there themselves. They have represented GoDutch realty in Atenas since 2004. Isabelle and Howard have the necessary knowledge to make you comfortable not only when looking for the right property but well into the post sale follow up. 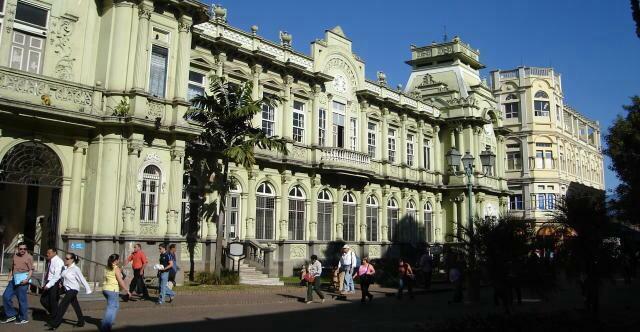 Atenas is a quaint town between Alajuela (International airport) and the Central Pacific. It offers most necessary shopping, banking and other needs you might have. Life if pretty easy going there and those who retired there love the temperatures and the easy going lifestyle. The micro climate in Atenas is one of the best in the world, little rain fall and an average temperature of 80ºF – 95ºF. It’s only 30 minutes to get to San José and about 45 minutes to get to the closest beaches. 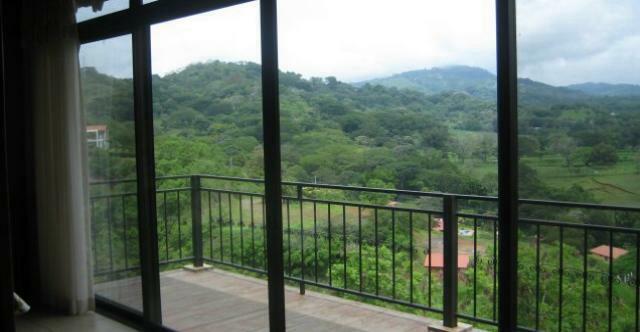 Property in Atenas gives you more value than many other areas in Costa Rica, that is, if you value to be a little further out and not in the middle of a city like in Escazu. If you are looking for Property in Atenas, you have a good choice of homes, luxury homes and homes in gated communities. Prices of Property in Atenas start at more or less $150,000 and goes to $850,000. Find our more about what living in Atenas is all about. Ask your GoDutch real estate agent Isabelle Jones for any property for sale in Atenas and surrounding areas or for any questions you might have about these areas,&nbsp; their amenities and attractions. Grecia is not so small town anymore as it used to be and has grown into a real city. Grecia has a different micro climate, depending on the altitude you are looking but it offers a cooler climate of 75 – 80ºF and as you go higher up in the mountains, it gets even cooler. Your GoDutch Real Estate agent Brooke Bishop, originally from Michigan, will be able to tell you where you can find the climate you’re looking for is. Grecia offers pretty good shopping, some malls and even movie theaters and is known for its unique church, Iglesia de la Nuestra Señora de las Mercedes, that is made entirely of pre-fabricated steel plates painted red. The park, in front of this church, is a very nice meeting area for locals and foreigners. Property in Grecia is not very luxury and very Tico but quite a few North Americans have been building and re-modeled homes. 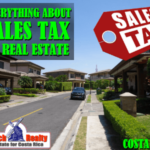 Generally property in Grecia is much cheaper than in many other areas of Costa Rica. If you are looking for Property in Grecia, you have a good choice of homes and small farms. Prices of Property in Grecia start at more or less $40,000 and goes to $1,400,000. Find out more about Grecia and its lifestyle. 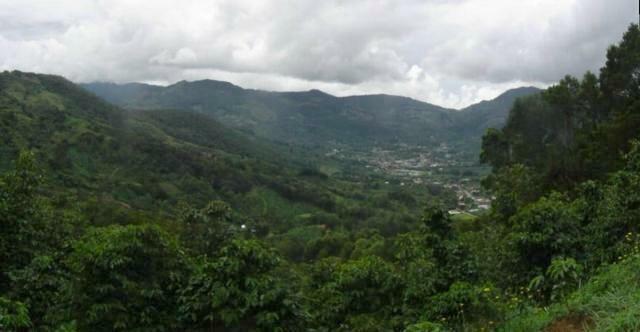 Naranjo, as well as Sarchi are well know coffee towns and will give you both a very local flavor. They are both communities that offer a local market and most other necessary services though not very luxurious. Naranjo and Sarchi are just like Escazu was 30 years ago. The locals are very nice and easy going and you’ll enjoy their hospitality. GoDutch Realty offers many listings in these areas as you can still find very reasonably priced land and beautiful views here. Naranjo and Sarchi do not offer very many gated communities. properties in these areas. If you are looking for Property in Naranjo, you have a good choice of homes and small farms. Prices of Property in Naranjo start at more or less $150,000 and up to $850,000. For property in sarchi, check out our great Sarchi property for sale and you can also read up on our description of living in Sarchi.